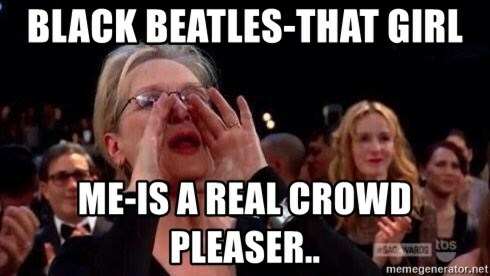 What does Black Beatles mean? As a 2016 hit song by hip-hop duo Rae Sremmurd, featuring rapper Gucci Mane and popularized by the viral video trend, the mannequin challenge, Black Beatles was a crowd-pleaser for sure. I could be in the middle of a fire but if Black Beatles comes on you can bet my life I will remain frozen until the beat drops. For years now, memes have been playing a huge role boosting certain artists and tracks that somehow enter the Internet’s weird, youthful zeitgeist: In hip-hop, Vine, YouTube and Twitter have surged the popularity of Migos’s “Bad and Boujee,” OG Maco’s “U Guessed It,” and Rae Sremmurd’s “Black Beatles,” which, similar to “Dame Tu Cosita,” inspired a seemingly random online competition with the #MannequinChallenge. Where does Black Beatles come from? Black Beatles was released in September, 2016 by the duo Rae Sremmurd, made up of brothers Swae Lee and Slim Jxmmi. Rapper Gucci Mane takes a verse on it, too. In the song, they portray themselves as black counterparts to rock icons The Beatles and reference John Lennon’s signature round eyeglasses. 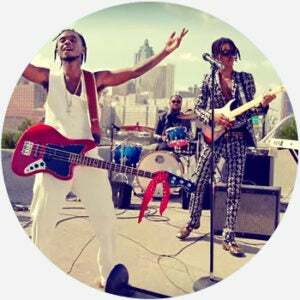 Black Beatles was fairly popular right away, but rose to greater heights on the back of a massively viral video craze, the mannequin challenge, in which a camera tracks around people frozen in various poses like mannequins. Early mannequin challenge videos—credited to Florida high-school students in October, 2016—featured no music. But, Rae Sremmund’s record label hatched a plan to capitalize on the trend. In November, the duo recorded their own mannequin challenge video on stage, prompting future mannequin challenge videos to use Black Beatles as their soundtrack. That month, Black Beatles jumped from #9 (an appropriately Beatles-y spot) on the Billboard charts to #1, where it mostly remained into January, 2017. Its success was widely attributed to the viral mannequin challenge. Pitchfork, Billboard, and Rolling Stone all named Black Beatles one of the top songs of 2016. 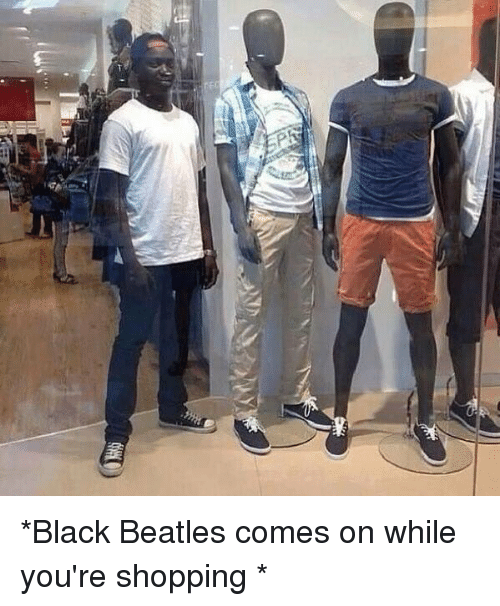 Thanks to the video craze, Black Beatles is mainly associated with mannequins. 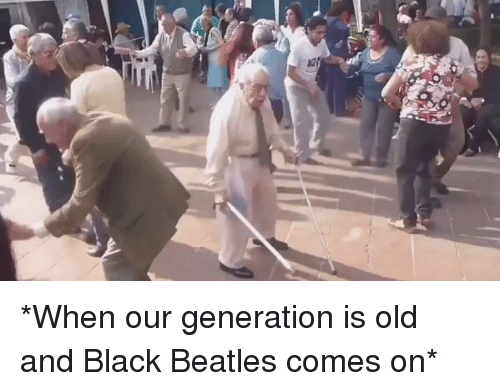 Black Beatles isn’t just a good song to stand perfectly still to, but also the kind of song people like to crank up, sing along to, and dance to.